I need to firstly determine the above info. before sending it over to grading. I keep going back and forth between an 8 and 9 for the last digit. It is a type II hair, and It is a 98. 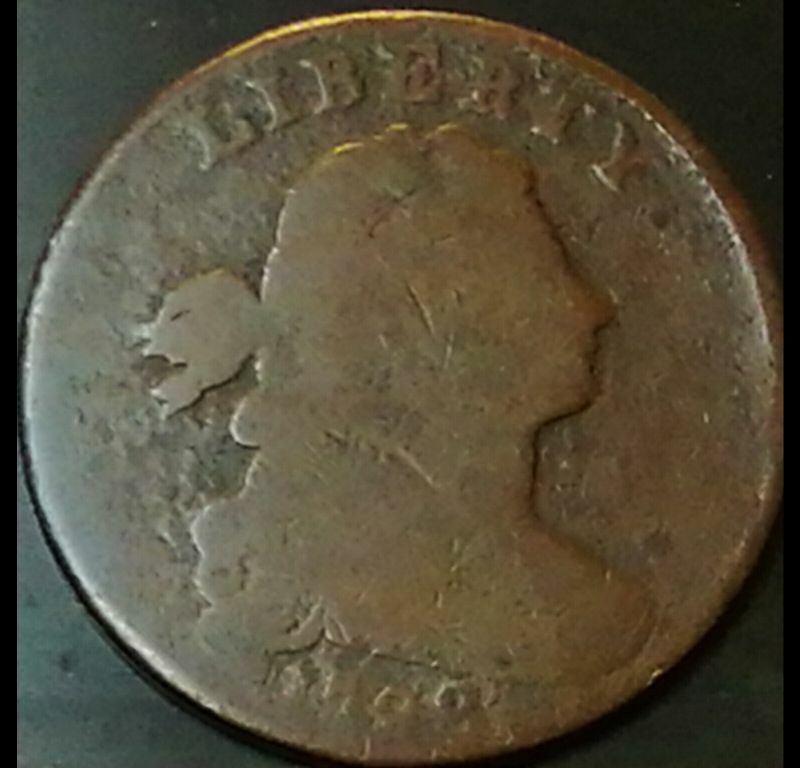 On both 1799 obv's the hwh at the top of the head is to the right of the center of the R. On this coin it is just a little right of the upright so it is too far left. The images of the date from Coinfacts is misleading. Those show examples of the large and small 8 but there are large and small 8's on both type I and type II hair coins. I bought this as a 1798. It looks a lot like yours. 100% 1798. I can spot that smaller upper loop on the 8 from a mile away.